Lawmakers are racing against the clock to resolve the feud over President Trump’s U.S.-Mexico border wall and prevent another partial government shutdown. The gang of 17 bipartisan lawmakers from both chambers, their staffs and members of leadership are entering a crucial stretch of negotiations this weekend as they try to lock down the remaining sticking points, including the level of funding for physical barriers along the southern border. Congress has until Feb. 15 to strike a deal that could avoid a funding lapse for approximately a quarter of the government, but lawmakers say they need to file legislation by Monday in order to get an agreement through both chambers before the end of the week. If they’re successful, it would mark a major victory just weeks after the longest shutdown in U.S. history ended, on Jan. 25. The amount of money for physical barriers remains a significant point of contention as negotiators try to reach an agreement. 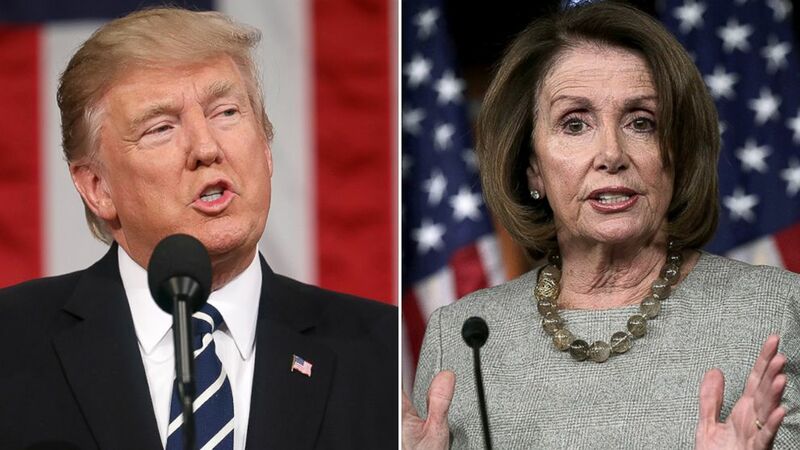 Trump has demanded a final deal include $5.7 billion for a wall — an amount that is unlikely to pass the Democrat-controlled House or get the 60 votes needed to advance in the Senate, where Republicans hold a 53-47 majority. Federal border officials reiterated that funding request during a closed-door briefing with conference committee members. By Friday, negotiators seemed to have narrowed the range to amounts well below Trump’s request. “I want the highest possible number we can get, but I would hope it would be north of $2 [billion],” said Rep. Chuck Fleischmann (R-Tenn.). While Democrats have signaled an openness to some fencing, it’s all but guaranteed the final agreement will not give Trump the amount he wants for the remainder of fiscal year 2019, which ends on Sept. 30. Rep. Henry Cuellar (D-Texas) added that there was “no way” the $5.7 billion would make it into the final agreement. Democrats are struggling to keep the figure below $1.6 billion. That was how much the Senate’s initial Department of Homeland Security (DHS) bill, which had bipartisan support, allotted for physical barriers, including 65 miles of new fencing. But House Democrats, who never signed onto that legislation, see their starting position as zero. An alternative approach of extending 2018 funding levels would allow for $1.3 billion to reinforce existing fences, but that money would have to be reprogrammed. A clear-the-barn bargain that would resolve the years-long immigration fight and tackle other looming battles, like the debt ceiling, is all but off the table now that negotiators are working on a narrow agreement. The president’s offer to end the last shutdown included a three-year extension of legal protections for many Deferred Action for Childhood Arrivals (DACA) recipients and some Temporary Protected Status (TPS) holders. But Democrats quickly dismissed that overture, and hopes of an immigration deal have largely faded. Democrats have since proposed adding $7.2 billion in disaster relief funding to help recovery efforts from hurricanes in Texas and Florida, as well as wildfires in California. But Republicans are in disagreement over funds being set aside for Puerto Rico, which is still rebuilding from the devastation caused by Hurricane Maria in 2017. Both parties want to avoid engaging in budgetary gimmicks or exceeding the $49.1 billion cap for the DHS funding bill being negotiated. That means any spending increases for border barriers will cut into their other priorities. A border deal could mark the first difficult vote for House Speaker Nancy Pelosi (D-Calif.) and a resurgent progressive caucus that includes several freshmen from bright blue districts who have drawn hard lines on abolishing Immigrations and Customs Enforcement (ICE) and fiercely opposing Trump’s wall. Democratic Reps. Alexandria Ocasio-Cortez, who rose to prominence with her June primary defeat of House Democratic Caucus Chair Joe Crowley (N.Y.), and Ayanna Pressley (Mass. ), Ilhan Omar (Minn.) and Rashida Tlaib (D-Mich.) circulated a “dear colleague” letter asking the conference committee to "not allocate any additional funding" to DHS, ICE or Customs and Border Protection. The Congressional Hispanic Caucus is also urging conferees to reject any proposed increase in detention beds or wall funding. Pelosi has repeatedly said she would not support funding for a wall, but also threw her weight behind the negotiating committee. “I told them, whatever you come to agreement on — bipartisan agreement — I will support,” Pelosi said Wednesday. If the vote is expected to be bipartisan, Pelosi, who is known for being a shrewd vote counter, could decide to let some members oppose the measure because it would likely pass with support from centrist GOP lawmakers. The president remains the largest, and most significant, unknown when it comes to prospects for a deal becoming law. Senate Appropriations Committee Chairman Richard Shelby (R-Ala.), who briefed Trump on Thursday, was also optimistic that the president would endorse an agreement if it remained within the “parameters” that they discussed. Trump caught Congress flat-footed when he backed away from a continuing resolution (CR) in December to fund a quarter of the government because it didn’t include extra funding for a wall. In a potential hurdle to getting Trump to back an agreement, House Freedom Caucus Chairman Mark Meadows (R-N.C.) said he had voiced his “displeasure” to some members of the conference committee about the direction of the negotiations. “The details I’m hearing about are not things the president should sign,” Meadows said. There’s little interest on Capitol Hill for another bruising government shutdown, but how lawmakers prevent one, if they are unable to get an agreement or if Trump rejects it, is unclear. Congress could pass another CR and effectively postpone the fight. Negotiators haven’t taken that off the table, instead arguing they are focused on finding common ground. “The worst thing that would happen is if we have to go into a year-long CR, and we’re doing everything we can to avoid that,” said Rep. Lucille Roybal-Allard (D-Calif.), one of the 17 conferees. McConnell has indicated that another CR is not his preference, but hasn’t publicly ruled one out. Meadows, who is close to Trump, said he would support a “clean” CR through Sept. 30. Trump also hasn’t ruled out declaring a national emergency to construct a border wall, despite pushback from GOP allies on Capitol Hill. Shelby said Trump indicated during their White House meeting that he wants a legislative solution. But a GOP negotiator said he would not be surprised if the president ultimately declares a state of emergency if he doesn't like the final deal. Meadows warned that if a deal precluded a national emergency declaration he would urge Trump not to sign it.